Chhaperia has brought the bendable tubular heating element which can be mounted anywhere with ease. Most of the heating solutions found today are because of tubular heating elements. The high-quality materials used by the team of experts at Chhaperia in tubular heating elements is what made the company a successful one. The industries deal with the mixture of fluids, and when the process is continuous, bendable tubes are a must. Any configuration is possible to form the elements. Based on the applications, wattages and voltages change. Sheath material comes in various types such as steel, copper, Titanium, and stainless steel. To ensure maximum heat conductivity, high purity compacted MgO is used. Integral cold pins provide in current carrying capacity. The tubular heating elements are bent to carry out a few industrial processes. 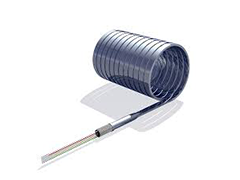 Chhaperia, satisfying the industry needs, has produced bendable tubular heating element and many industries are installed for manufacturing their products.